British born Master Chocolatier Marc Demarquette is passionate about using the very best ingredients sourced to the highest ethical standards in order to make his intricate recipes. 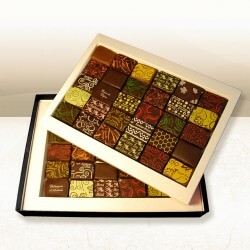 His expertise have been gained over time, using skills handed down by generations of the best chocolatiers, with training by chocolate masters in Paris. 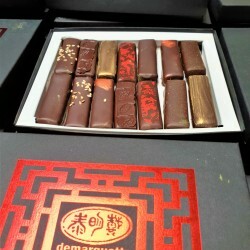 Demarquette couverture chocolate is roasted and blended to their own bespoke recipes. Their chocolates combine unparalleled taste and visual perfection, and never use artificial flavourings nor preservatives to ensure the purest taste. 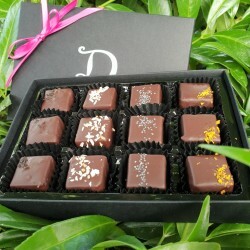 Experience the finest chocolates with a contemporary twist. Demarquette have won over 50 Gold Awards in less than 5 years, have been named a "British Luxury Brand of Tomorrow", and have had partnerships with Fortnum and Mason, Harrods and Selfridges to name a few.